Mind Whispering and Emotional Alchemy integrate insights from mindful awareness training with those from her post-graduate studies with Jeffrey Young in Schema Therapy, a branch of cognitive therapy. Aaron Beck, founder of cognitive therapy has called Tara “a pioneer in the field of cognitive therapy and mindfulness,” one of the fastest growing fields in psychotherapy. 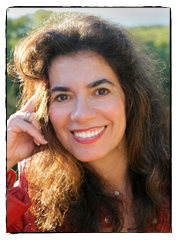 Tara continues to offer workshops internationally based on Emotional Alchemy and Mind Whispering, and has given training seminars in this educational/therapeutic approach to mental health professionals for the New England Educational Institute’s Cape Cod Seminars, Cambridge Hospital at Harvard Medical School, and the Santa Barbara Family Therapy Institute. She also focuses on multi-cultural and inter-disciplinary fusions, integrating awareness training with the arts, social action, and psychology. Tara sees inter-cultural fusion as a way to inspire appreciation and respect for ethnic diversity through an expression of the unique flavor of different cultural traditions. Her interest in fusion – in the arts, psychology, meditation, and social action continues to the present.